(Download the full Loretto Hospital Newsletter Jan_2019 right here). We already have our Facebook page uploaded with over 100 members. We are also working on creating an Instagram page of members working hard and engaging in various campaigns and actions. We are excited to move forward in 2019 and seize the many opportunities ahead and begin to fight for our members, families, and communities. We will begin to have monthly newsletters to inform you of events happening at Loretto, at our Union, and the International Union. So stay tuned! We are so excited to welcome Elizabeth “Lizzy” Bortoto as our new Organizer and Rep here at Loretto! 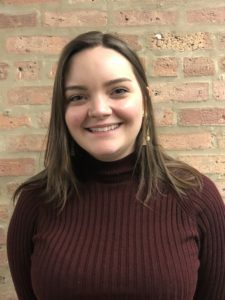 Lizzy previously worked with SEIU Local 73 as an organizer working with the Higher Education Campaign. Lizzy is ready to fight for our rights and engage with our members. She is hoping to meet with as many members as possible to get to know them and learn from past experiences. If you see Lizzy, please go up and say hello and introduce yourself to her. We want to give her a warm welcome as we start the new year! Many of our members have attended meetings which involve Loretto Hospital’s administration creating and enforcing certain new rules and regulations that the hospital must follow. 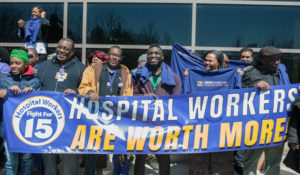 The Union has not, nor ever will, put the hospital in harms way with the State of Illinois or any entity with respect to accreditation and regulations to keep the hospital in compliance. However, the Union will engage Management if a proposed rule that is not mandated for overall accreditation, affects our members, worsens working conditions, or impacts the ability of our workers to perform a new assignment without proper training, or lies outside the scope of our role or practice. This is the right of the Union to engage on these critical issues as listed in the collected bargaining agreement (CBA). 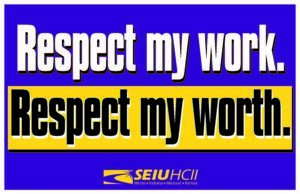 Our Union’s position is to work with Management to come to a mutual agreement and solution that will be pleasing for both sides with our members’ safety and security in mind, in addition to focusing on issues of dignity and respect. 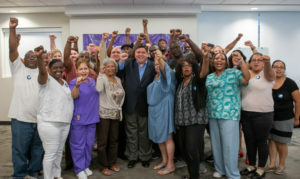 J.B. Pritzker held a roundtable event in September with our hospital leaders to talk about how to hold the hospital industry, and the Illinois Hospital Association specifically, accountable for refusing to pay living wages to hospital workers. We Elected J.B. As Our New Governor! We just elected J.B. Pritzker Governor and Juliana Stratton Lt. Governor of Illinois! Our Union worked very hard to elect them to the Governor’s mansion because they care about and support working families across our state. Gov. Pritzker and Lt. 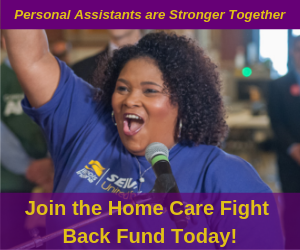 Governor Stratton pledged to raise the minimum wage to $15 an hour, protect our healthcare, support unions, and advocate for more respect and dignity in the workplace. They have also pledged to fight for the Fair Tax to require the rich—including J.B. himself—to pay their fair share in taxes to fund vital services and invest in our communities. On the weekend of Martin Luther King Jr. Day in 2019, there is no better way to honor Dr. King’s legacy than celebrating our Union’s strength! 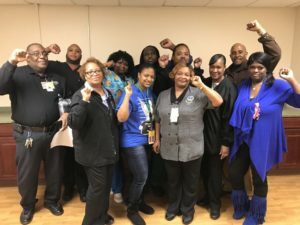 At Loretto on the West Side of Chicago — a safety net hospital that serves mostly communities of color and who are low-income — our Loretto stewards celebrate the fact that 98% of the service workers have signed up to become members of our Union! This is what unity, and dedication, and strength looks like! Our Union is the foundation for how we build a movement to empower workers and families to solve poverty and income inequality, end violence of all forms, and create a just and hopeful society. But it starts with having stewards and members who are committed to having a strong a Union. In this, we are confident that Dr. King’s legacy endures.